ONGC Assistant Technician Syllabus 2019 PDF Download– All the applicants who have filled in their candidature for the ONGC Recruitment 2019 are informed that the ONGC Syllabus and Exam Pattern is given on our page. 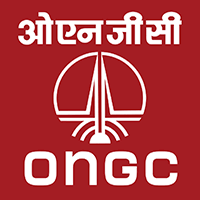 As there are various posts in the recruitment, candidates can find the ONGC Recruitment syllabus attached according to the various openings available in the recruitment. But mainly given below is the ONGC A1 and A2 Syllabus. This has been given according to the ONGC Assistant Technician Syllabus and there are specific subjects which you will need to prepare which will be according to your specification. For example, if you are preparing for the CBT of the Technical Assistant (Chemistry) post, you will have to prepare for the ONGC exam syllabus for chemistry. 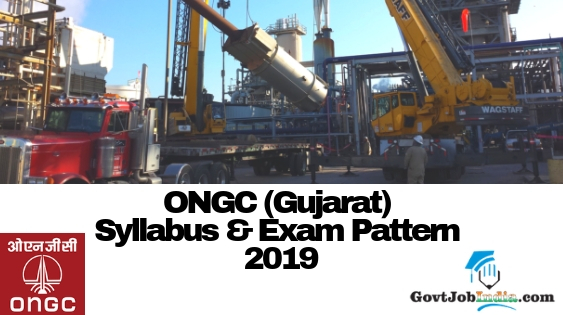 Furthermore, we have given the ONGC 2019 Syllabus PDF which will enable you to download the file first and then utilize it even you are offline. So, make sure that you stick around till the end of the article. This article is like a reference page which you can rely upon whenever you need to access the ONGC AT Syllabus and Exam pattern 2019. Basically, this page is like the ONGC Assistant Technician Exam Book which you can also use as a guide. As the ONGC Recruitment was a splendid chance for securing a govt job in such a prestigious organization, you are advised to start preparing for this recruitment as soon as possible. If you haven’t yet applied, you can do that by going to direct link to apply online which is the ONGC Non-Executive Recruitment Notification 2019. Go through this page in order to secure good marks in the CBT (Computer Based Test) and get selected for the examination. We urge the candidates to check and prepare accordingly for the ONGC Recruitment Exam 2019. We have mentioned the duration, total marks, number of questions and medium that the question paper will be in. The general trend of the examination pattern is given below. Bilingual i.e. Hindi & English. • Science – Inventions and Discoveries. • Current Affairs (National and International). • International and National Organizations. We hope that the article about the ONGC Gujarat Recruitment Syllabus 2019 has been useful to all of you looking for the ONGC Assistant technician Exam Pattern. We wish you all the best for your recruitment selection process for the ONGC Gujarat Vacancy 2019, and we hope that you would qualify for all the stages of the recruitment process. Please subscribe to our website @ GovtJobIndia.com for regular updates regarding government recruitment spanning across the nation.